OK, every now and then a product comes along that there is just no way in hell I am going to skip reviewing. This is one of those products. There's just something about the trio of words -- Taco, Bell, and Shrimp -- that seems like it doesn't really belong of this world. Now, don't get me wrong. For all the bagging I do on Taco Bell, I actually do like some of their food. And I do in fact eat there once every couple of months or so. (I try not to eat too much fast food in general.) It's just that there seems to be a line in the sand that Taco Bell should maybe not cross. 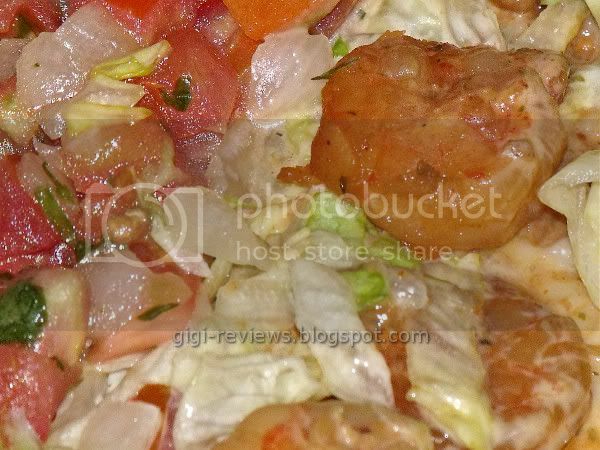 I love shrimp tacos, and I am lucky enough to live in an area where getting good fish or shrimp tacos is not difficult. Heck, I can literally walk across the street from my apartment and get one that's fairly decent. So with that in mind, why would I even give Taco Bell a shot? Do you guys even have to ask me that question? 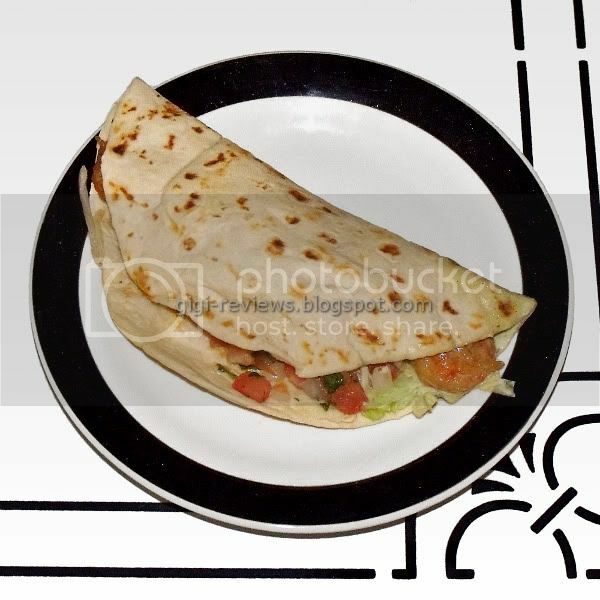 Each taco consists of a soft flour tortilla, lettuce, Fiesta Salsa (Taco Bell's version of pico de gallo), avocado ranch sauce, and six shrimp that have been marinated in "spices" (Wow! That's descriptive!) and then cooked by...well, I don't know how they're cooked, because the Taco Bell website doesn't say and the Taco Bell employee looked at me like I was nuts when I asked. Of course I go into this knowing that the shrimp are frozen. And I have no problem with that. Let's be realistic: unless you're lucky enough to live someplace where shrimp are harvested locally -- for example, the coastal regions of Texas, Louisiana, Mississippi, etc. -- the truth is that pretty much all the shrimp we eat are frozen. I understand that and I accept it. Sadly, the shrimp in my taco were quite rubbery. Fairly sized (slightly bigger than a quarter), but rubbery. The spice blend seems to be mostly black pepper, onion, and garlic powders. If you've ever made a generic boxed Spanish-style rice, it's sort of like that...edible, perhaps even decent, though you'd never see it in a good paella. My taco had very little of the avocado ranch sauce. I'm not sure if that is a good thing or a bad thing. It just tasted like generic ranch dressing to me. The "Fiesta Salsa" was good -- but it always is as a rule, and of course pico de gallo is so basic that it's kind of hard to mess it up. It has nice chunks of ripe tomato and just the right amount of cilantro. There is also the obligatory -- for fast food, anyway -- shredded iceberg lettuce. It's nothing special, but believe me, you could do far worse. 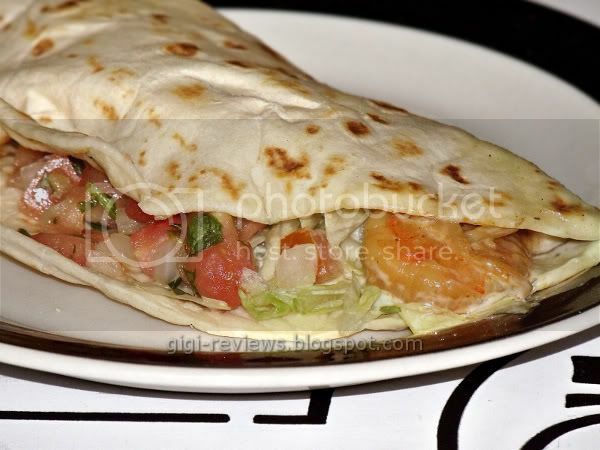 In the end, even with the rubbery shrimp, it's not a bad taco. It's just a forgettable one. Contains shellfish, eggs, milk, and wheat. I absolutely loved the Pacific Shrimp Tacos! I also happen to live by the ocean, so I know a good fish taco when I have one. The PST I had from Taco Bell were excellent with just the right amount of heat. It far surpassed anything I have ever had at Taco Bell and some local restaurants, as well. 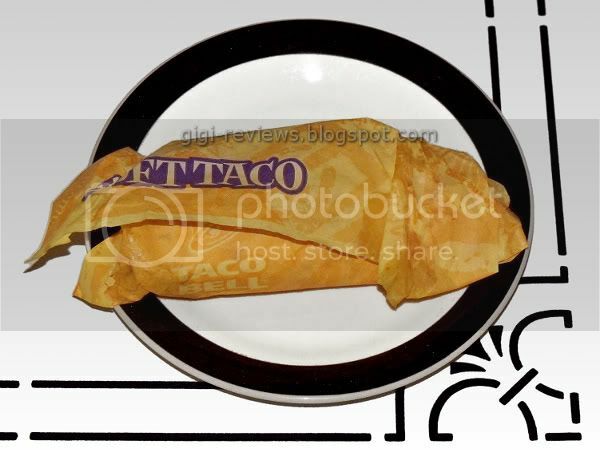 I wish Taco Bell would bring them back!